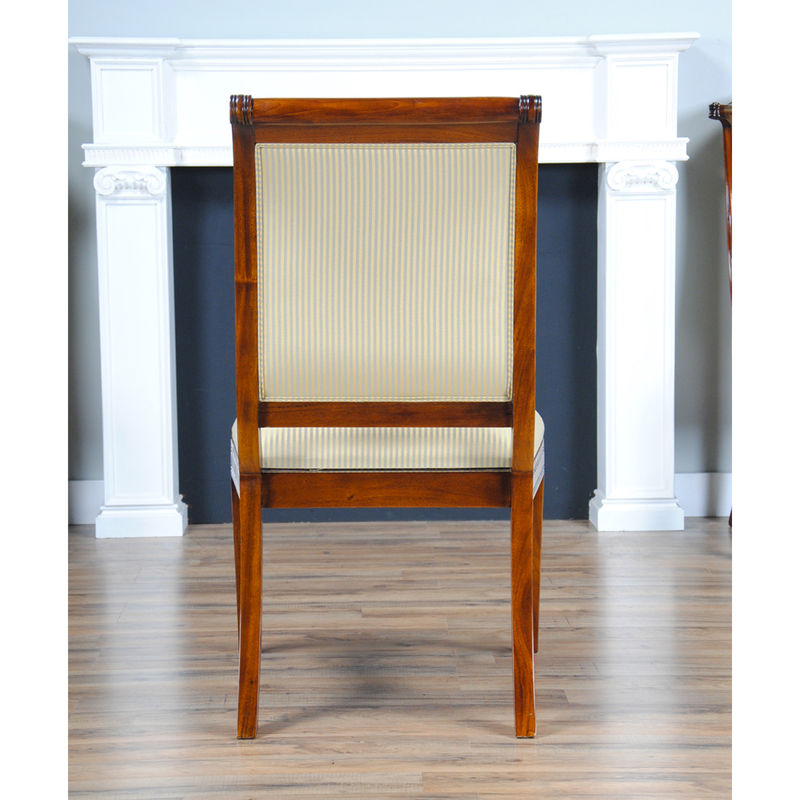 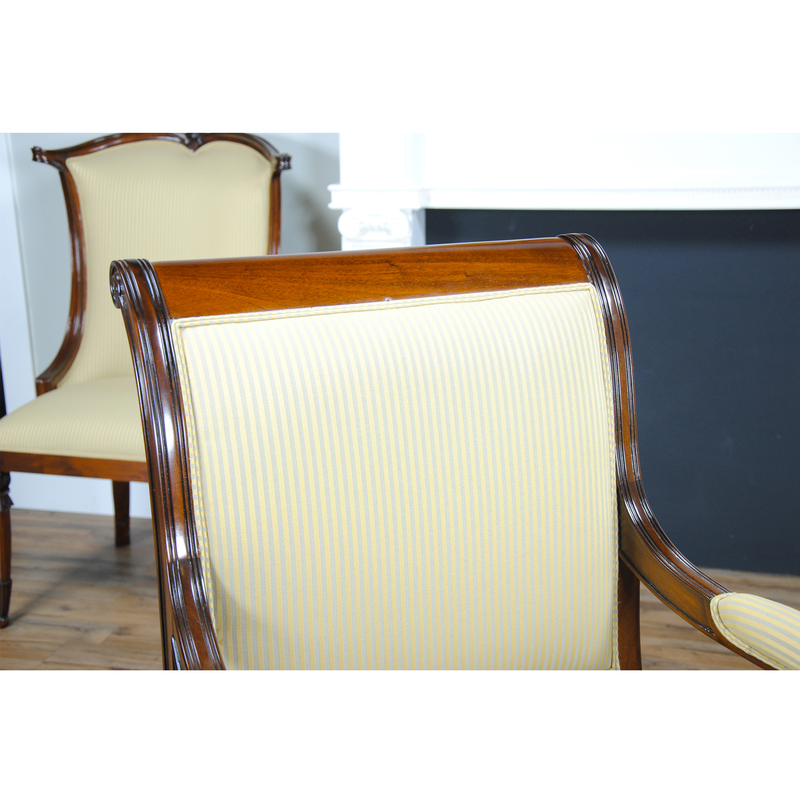 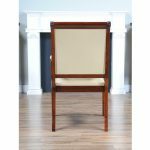 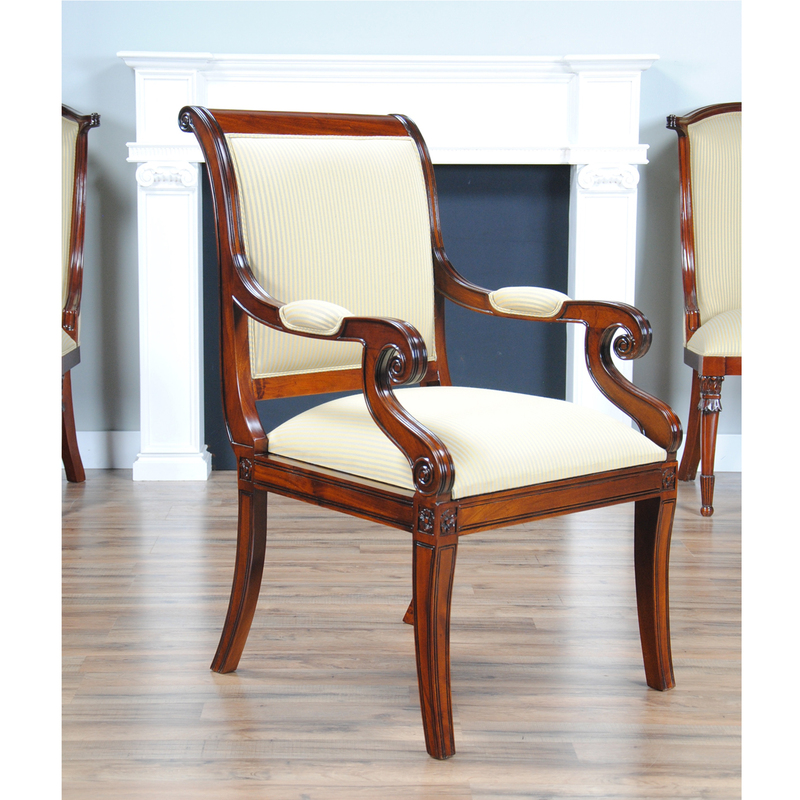 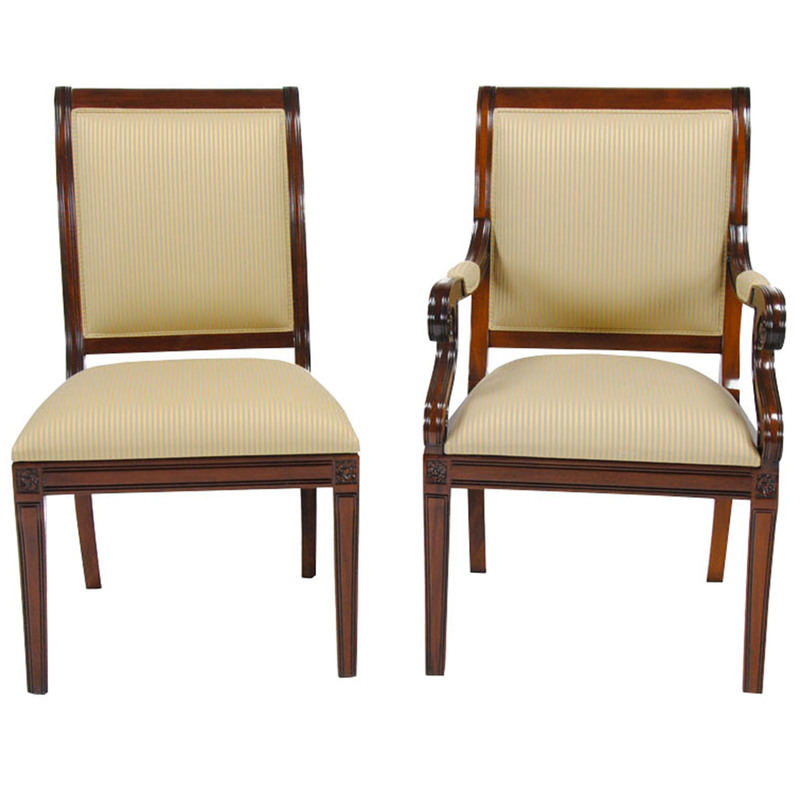 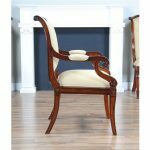 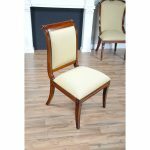 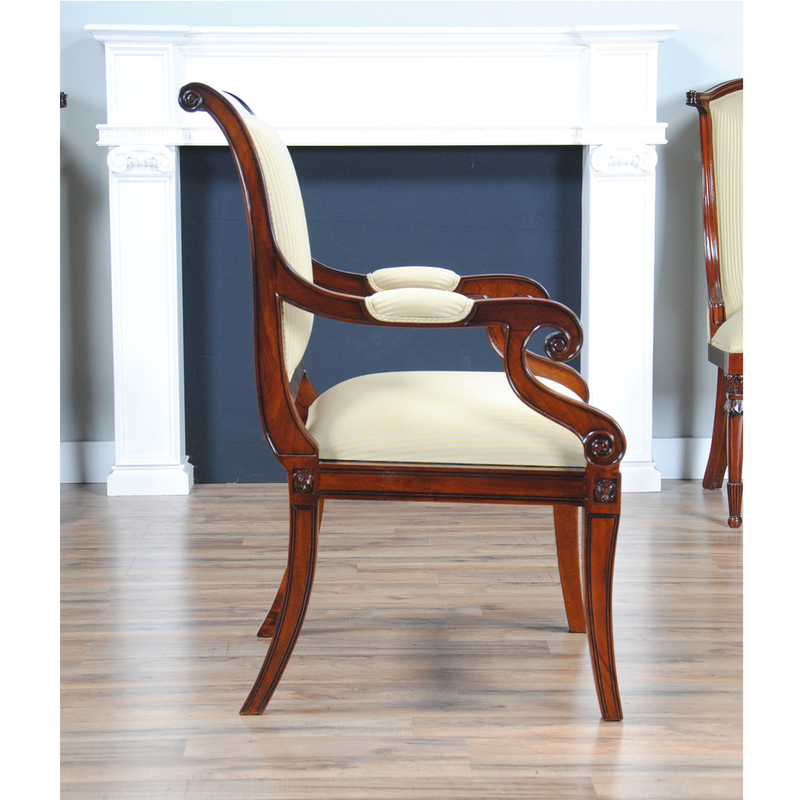 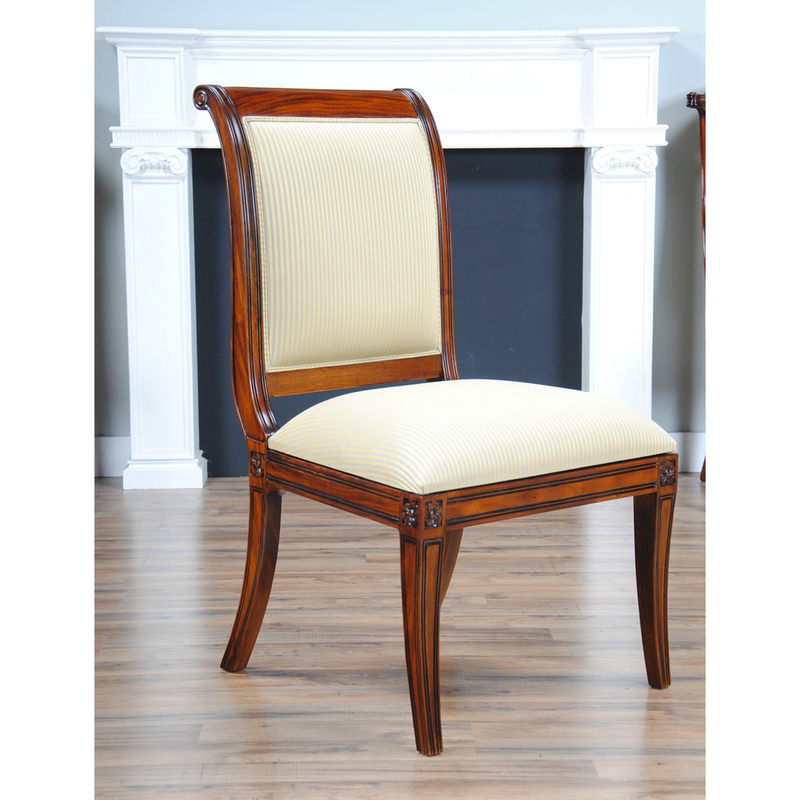 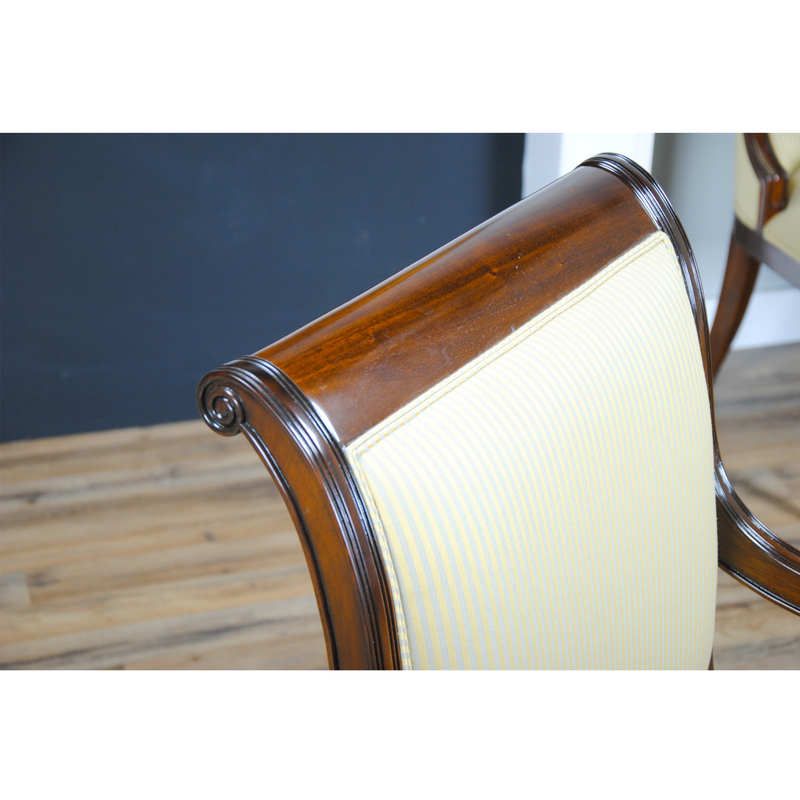 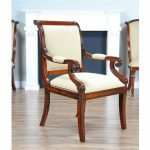 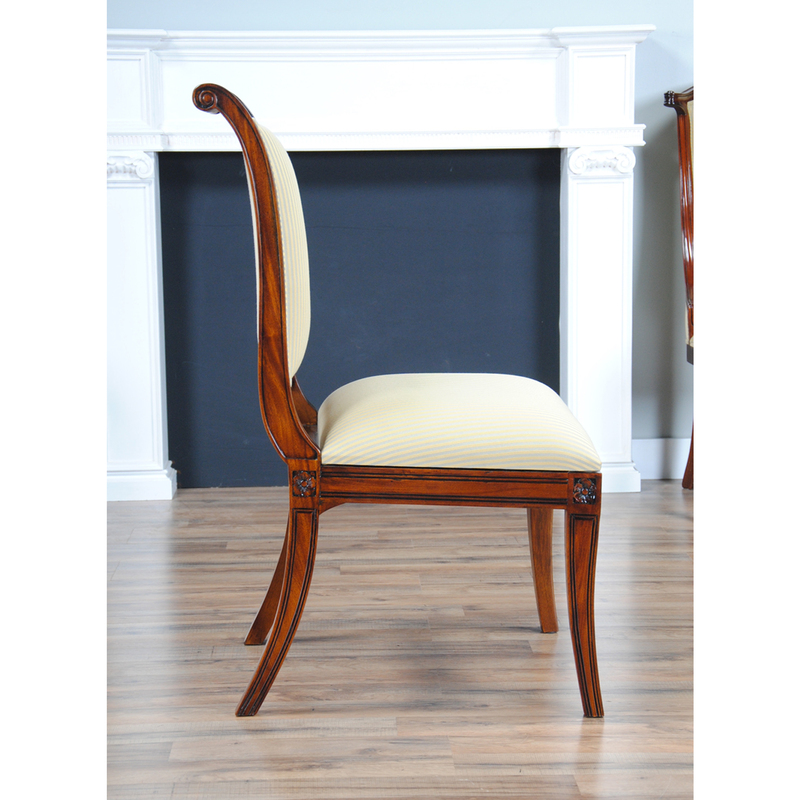 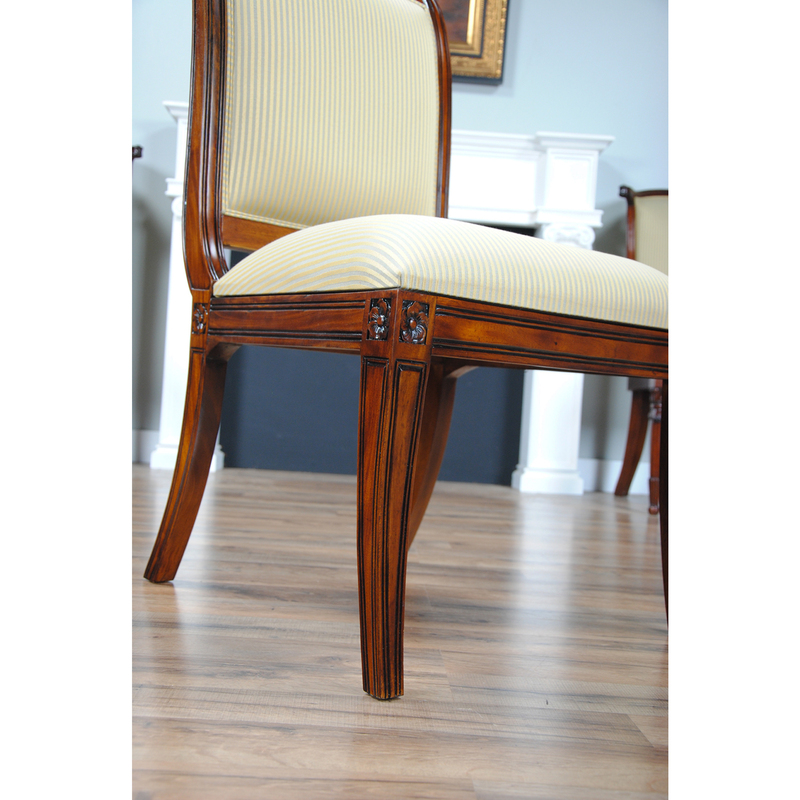 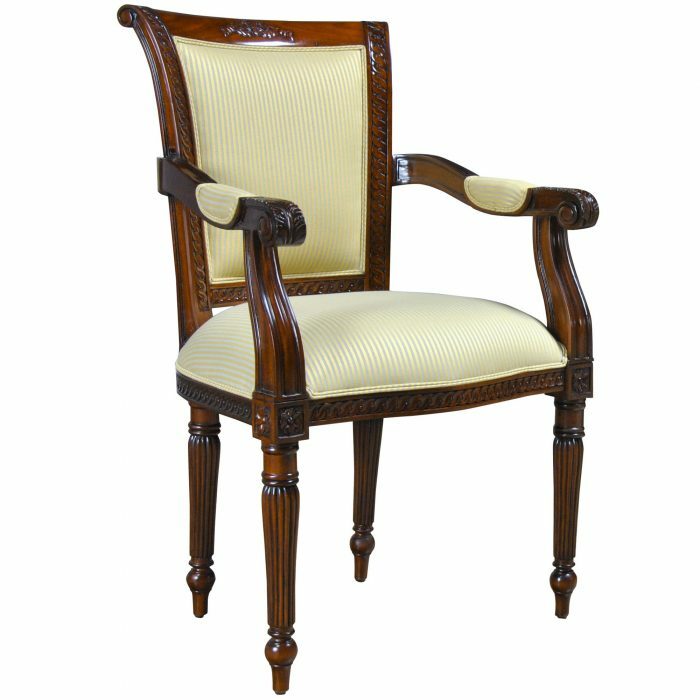 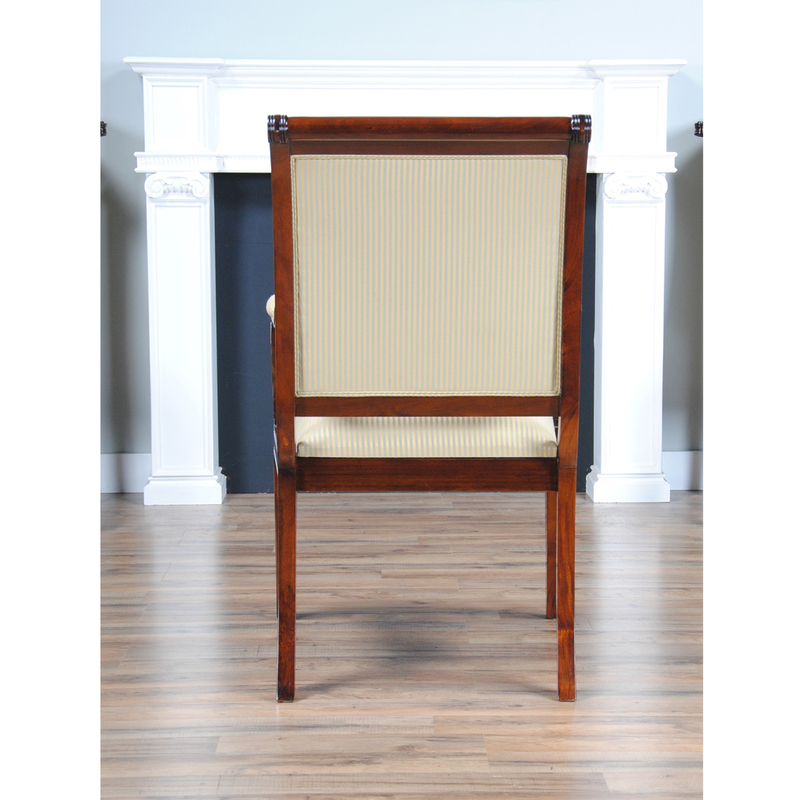 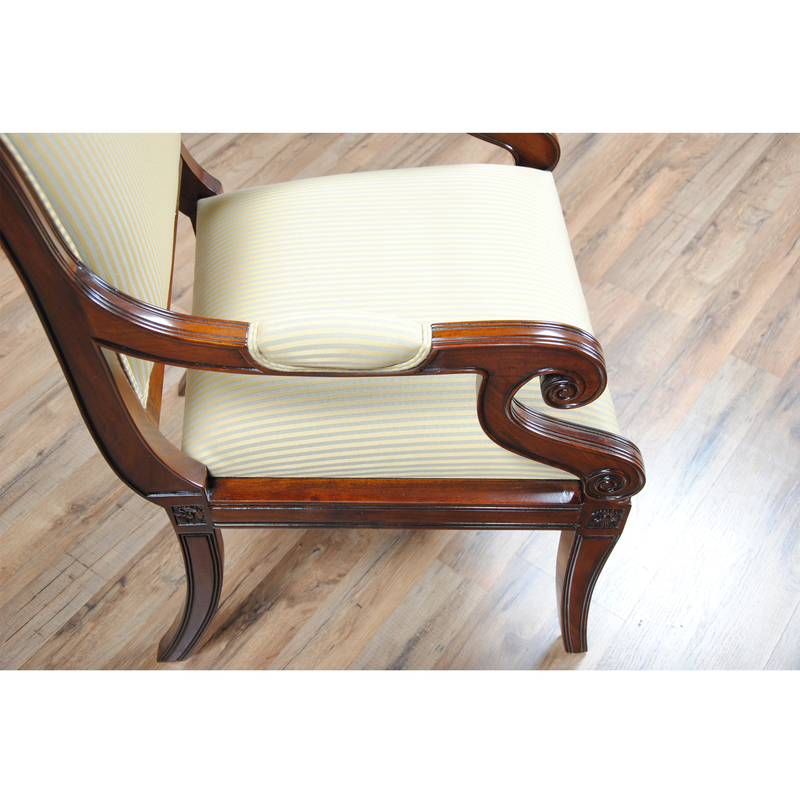 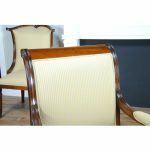 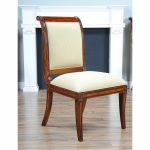 This set of 10 Regency Upholstered Chairs by Niagara Furniture is complete with 2 arm chairs and 8 side chairs. 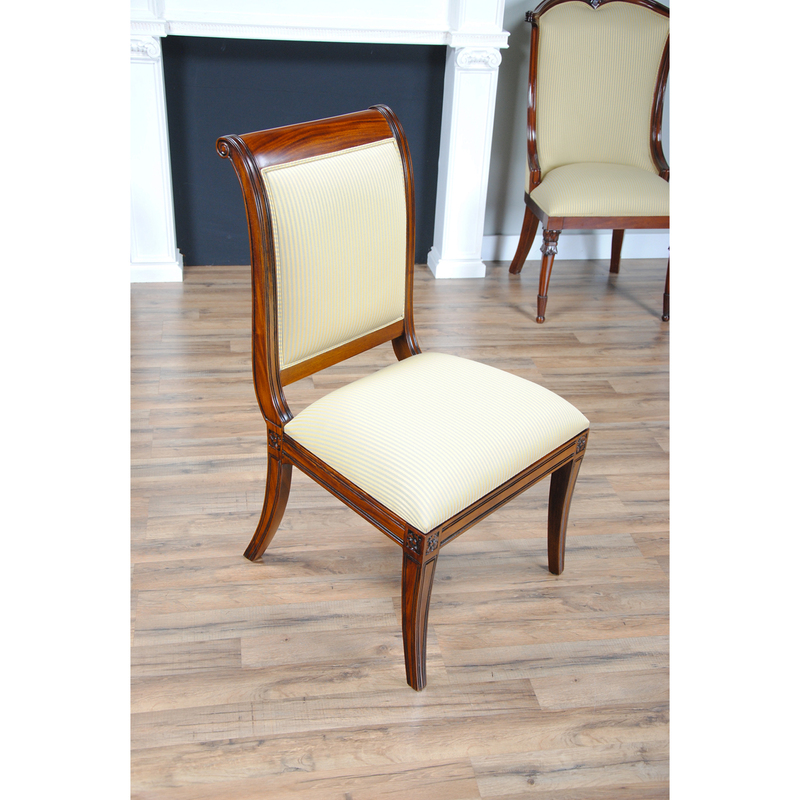 The super simple design of theRegency Upholstered Chairs feature sweeping lines and finely executed details which makes these great quality chairs very popular. 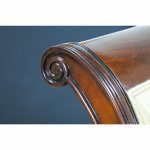 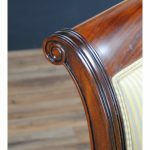 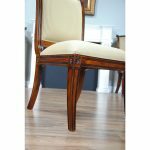 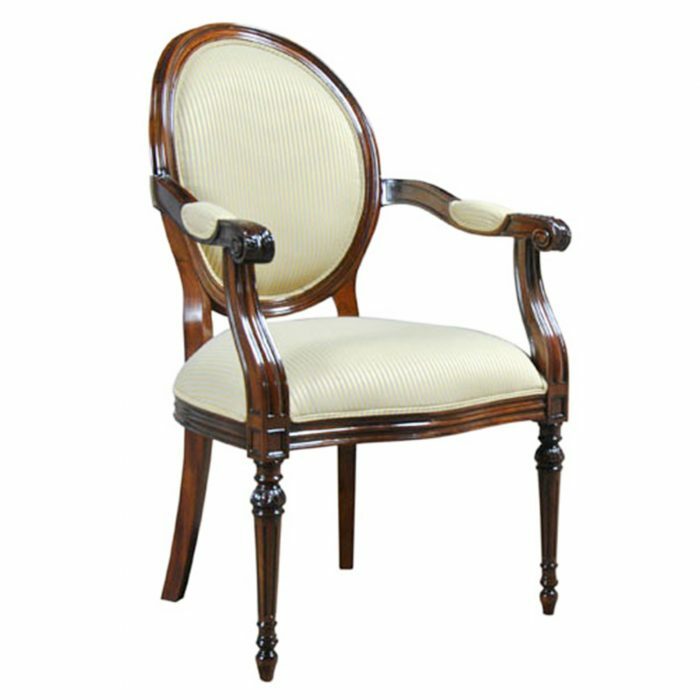 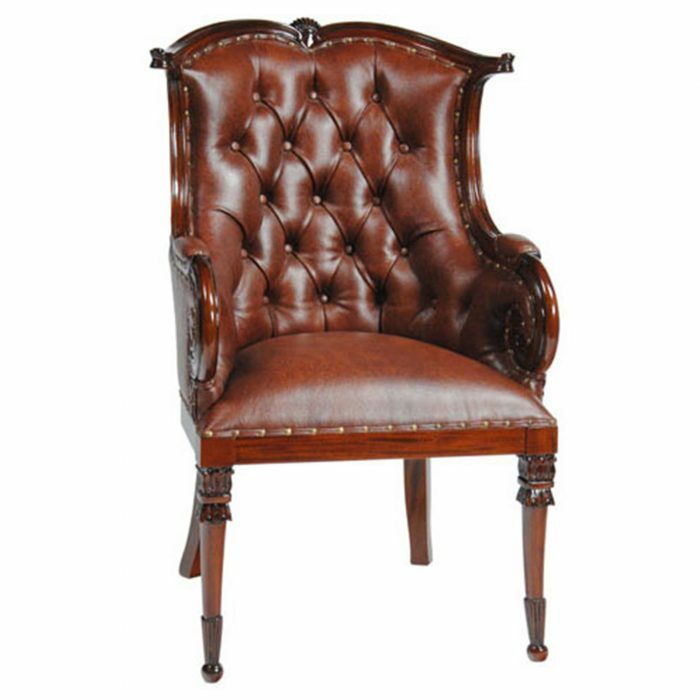 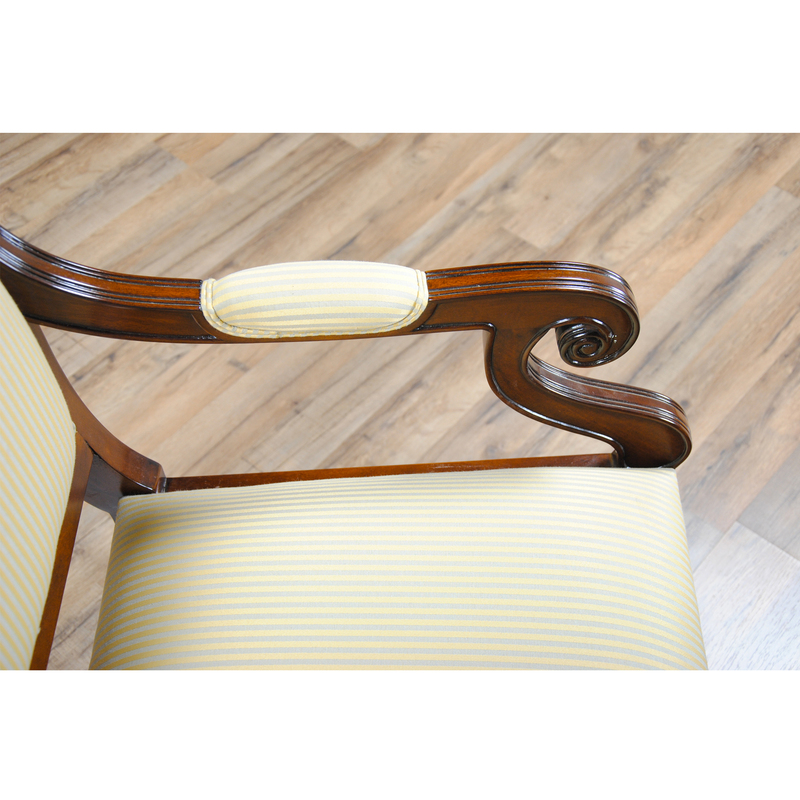 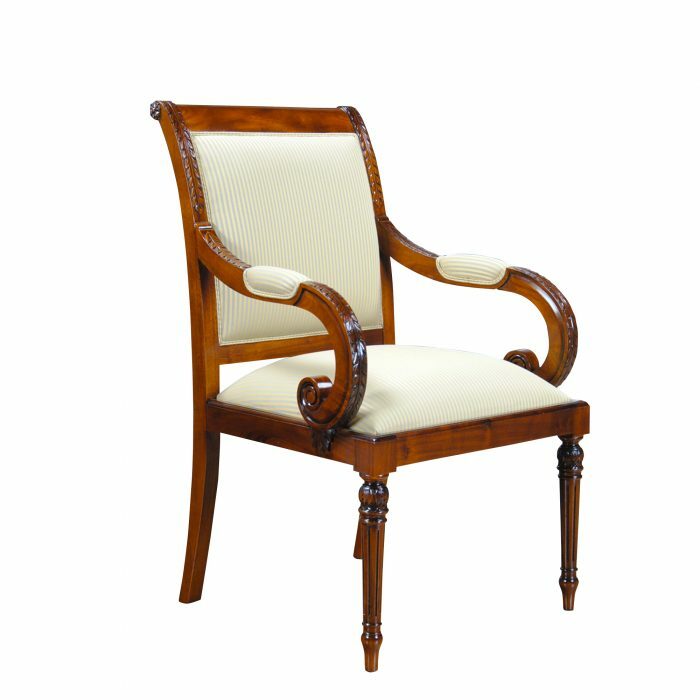 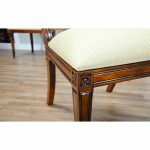 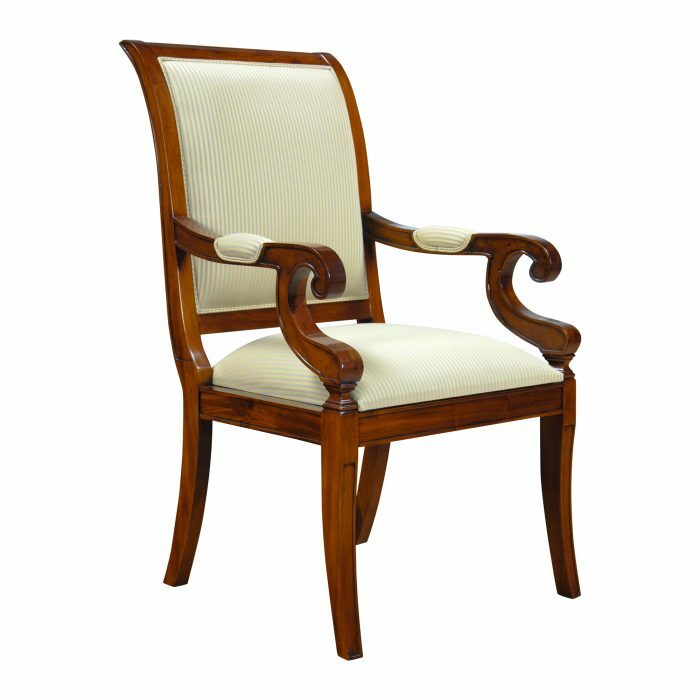 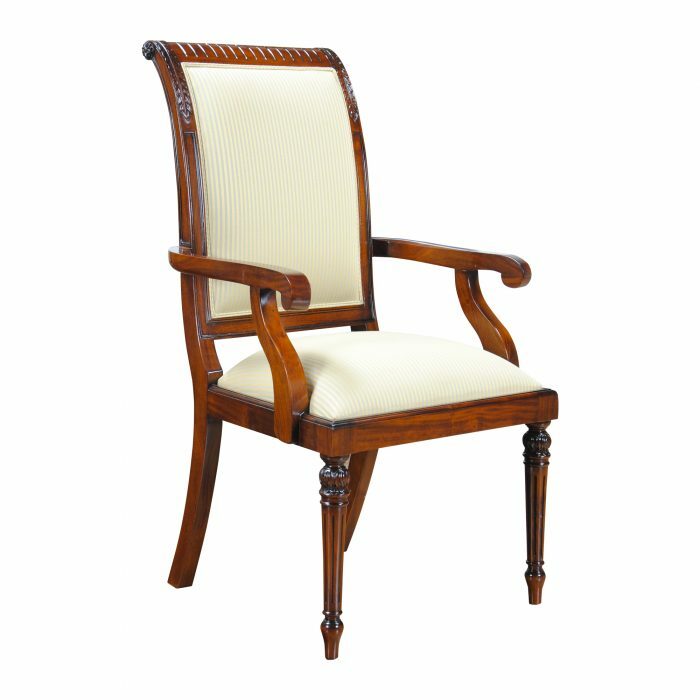 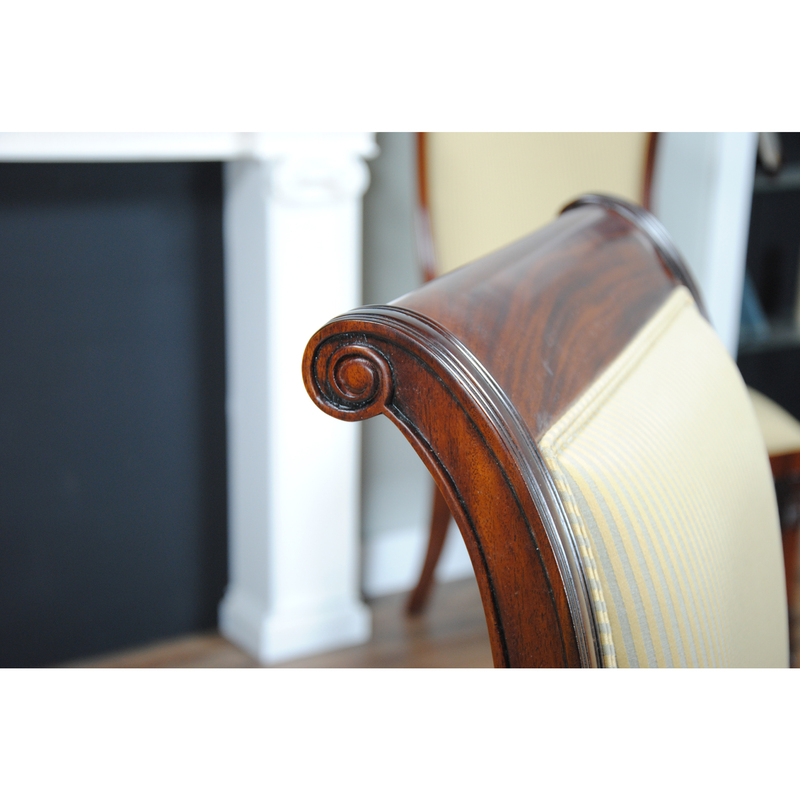 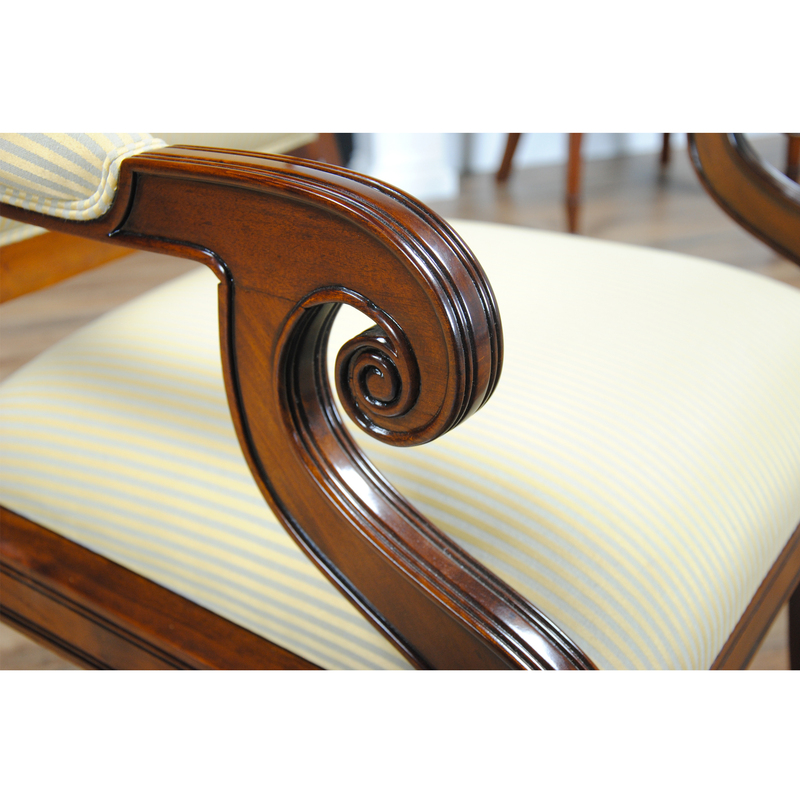 Finely hand carved details on the corners and arms of the chair distinguish them from machine made chairs found in box stores. 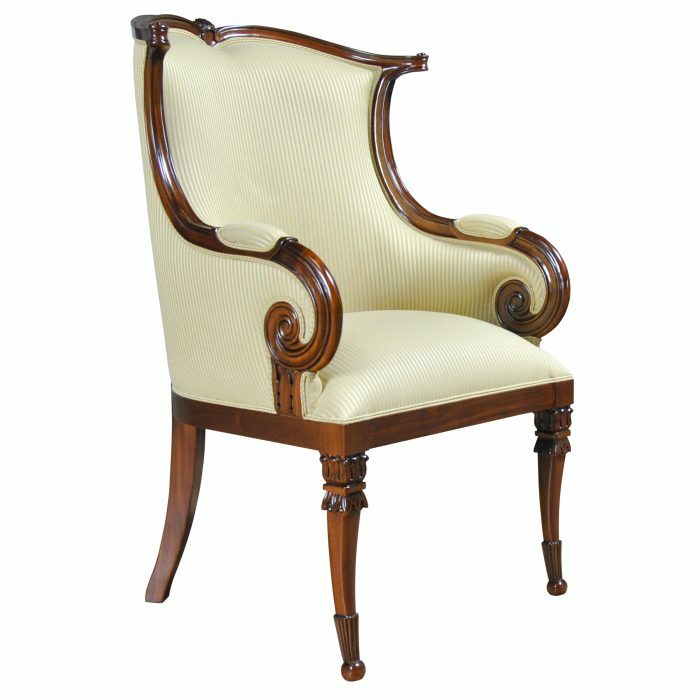 Beautifully scrolled arms and saber legs give a timeless look of elegance suitable for any living space. 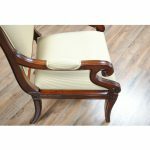 Ready to use with our most popular fabric the upholstery can be easily swapped out due to our use of the drop in seat feature.